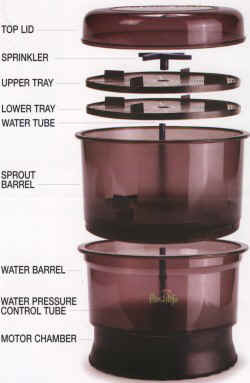 With fully automatic operation, FreshLife Sprouter Model 2000 will let you enjoy fresh sprouts all year round. 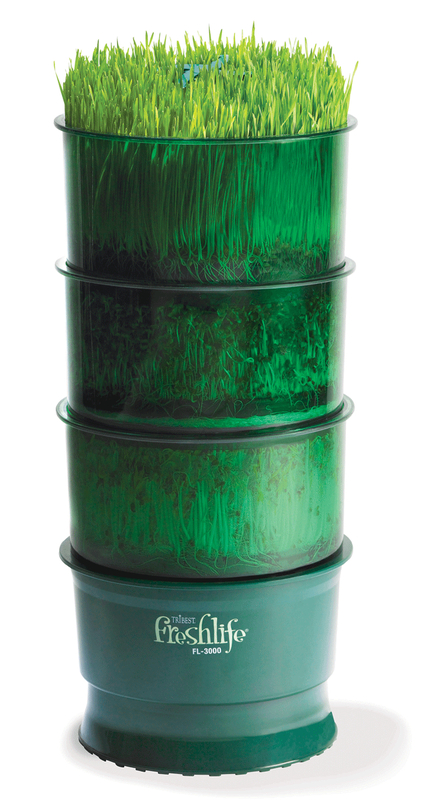 Just add seeds and water, and in just as little as 4 days you can harvest fresh and healthy sprouts. It's that easy! Need further information about this product? Click here to view the manual or instructions for this item. Just add water and seeds! No soil, special light nor Green thumb needed. Seed can sprout 7-15 times their weight, which makes them very economical to grow. This model includes the Extra Barrel Kit. You can only use one extra barrel on the sprouter.